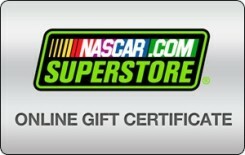 Earn 1.2 SB per $ when you buy Nascar.com gift cards at MyGiftCardsPlus, powered by Swagbucks. The NASCAR.com Superstore is the official online store of NASCAR, providing a selection of officially licensed merchandise that can't be beat. Whether shopping for yourself or looking for the perfect gift, the Superstore has something for everyone.